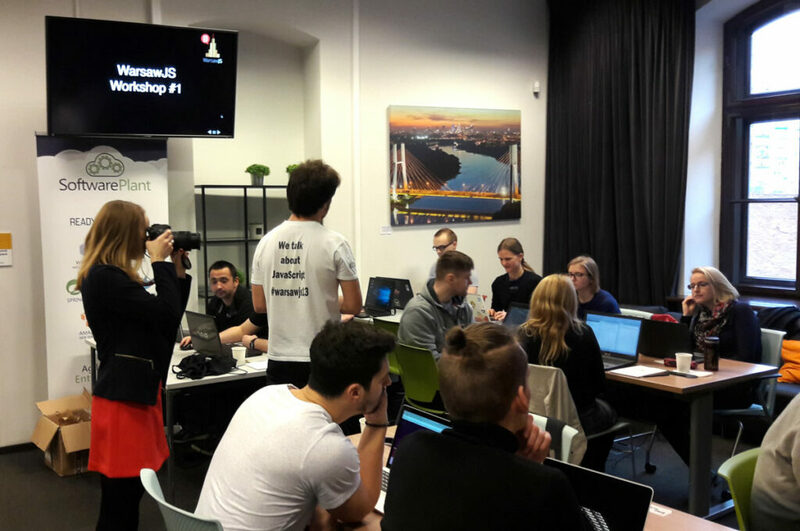 WarsawJS: Meetups & Workshops. Wish to join? 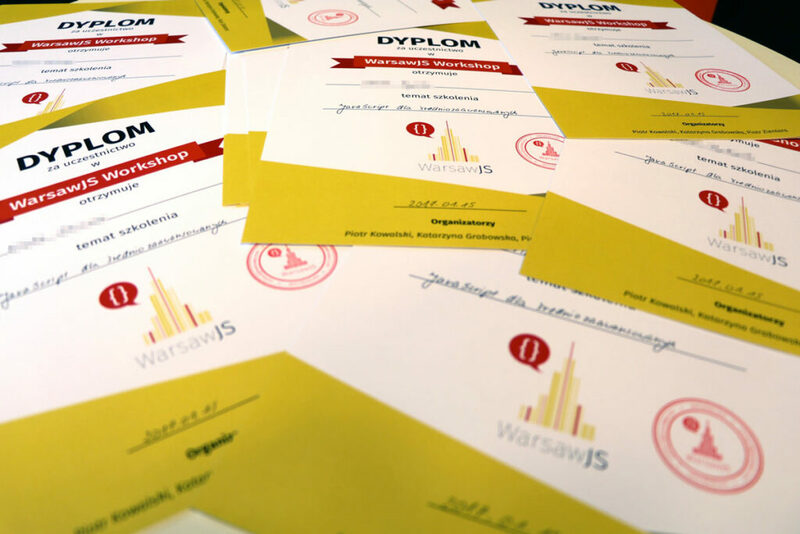 WarsawJS falls into two categories: meetups and workshops. Pictured is the first of a series of workshops. 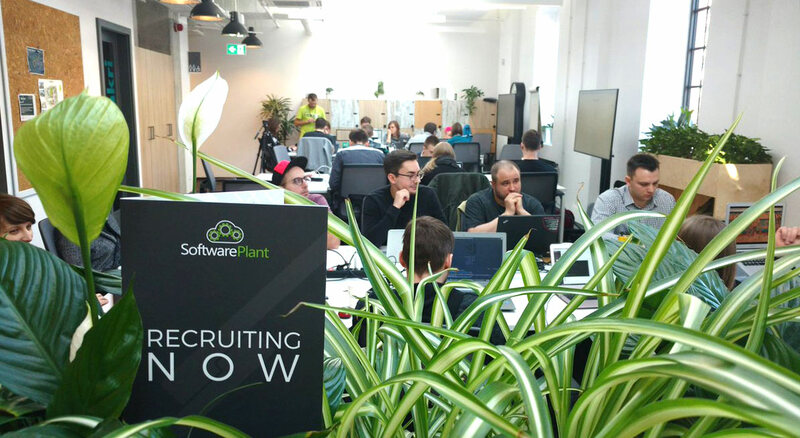 They take place in heritage interiors of Google’s Campus Warsaw in Old Praga. You’ll get a certificate after the workshop. After purchasing the ticket for the WarsawJS workshop, you’ll be e-mailed an invitation to Slack, the IT industry messenger. You’ll use Slack for ordering lunch during the workshop. Check https://warsawjs.slack.com. As opposed to workshops, there is no need to be physically present at the Meetups. You may watch all of them on WarsawJS Youtube channel. 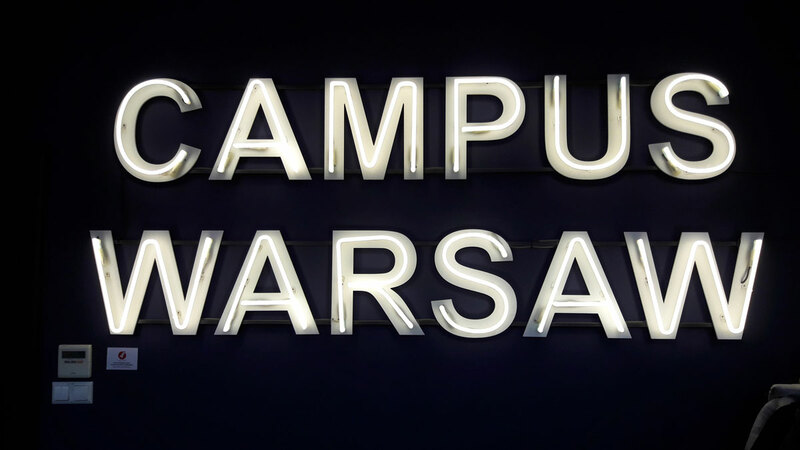 A neon of Google’s Campus Warsaw in Stara Praga. It makes a haven of the WarsawJS workshops. Workshop #2: JS for intermediate developers. Note that in autumn 2016 naming changed. Until October 2016 the event was called WarsawJS. And numbered #1, #2, … up to #26. They occured once a month. 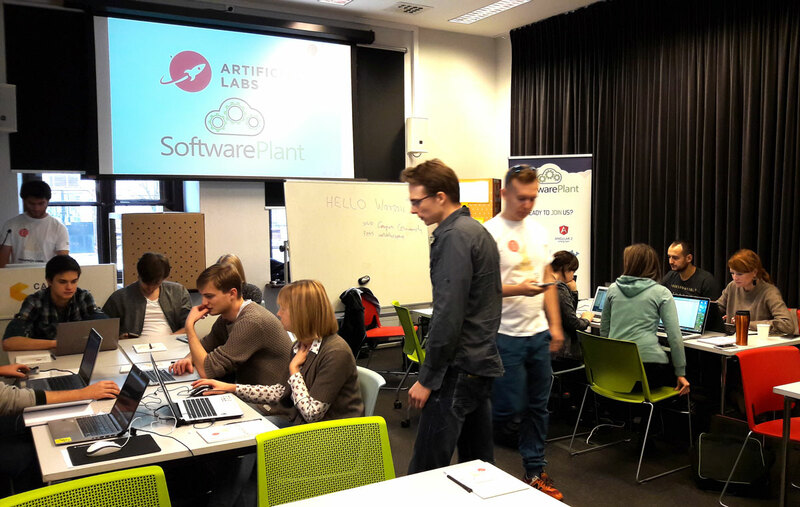 Around 10-11.2016 meetups and workshops were born. 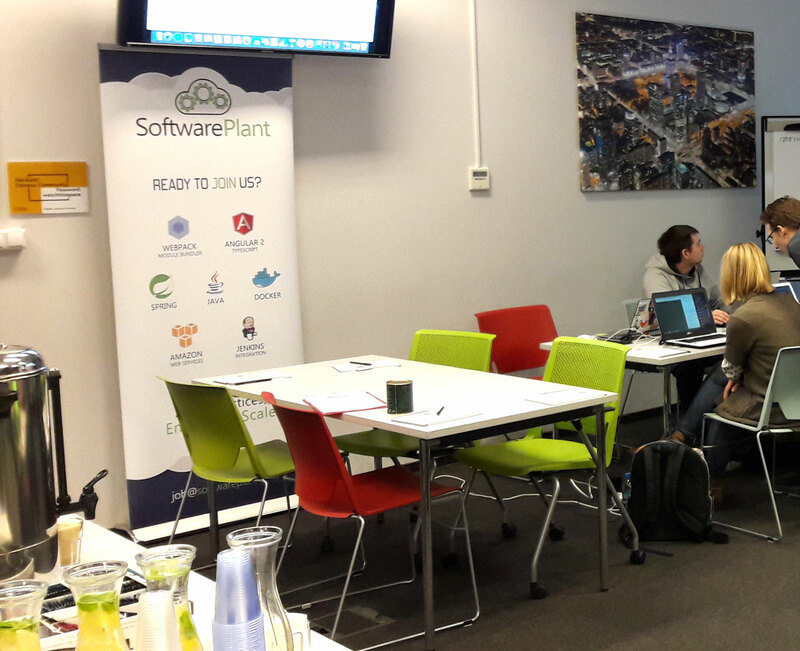 They inaugurated with WarsawJS Meetup #27 and Workshop #1. So, the contemporary WarsawJS gathers the JS crowd twice a month.